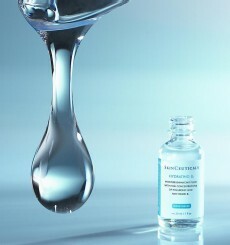 SkinCeuticals’ mission is to improve skin health. Dedicated to this purpose, we make one simple promise – provide advanced skincare backed by science. Our high potency formulas are concentrated in pure actives and proven to penetrate optimally into skin. 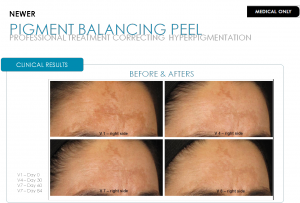 SkinCeuticals is used and recommended by Aesthetic GP’s, dermatologists and plastic surgeons to correct the signs of ageing and to prevent and protect against future damage. Antioxidants have the ability to neutralise free radicals that are generated as a result of environmental attacks (UV rays, pollution, stress, smoke etc.) and are proven to reinforce the skin’s natural defences against free radicals and prevent photoageing. Repair the skin thanks to powerful formulas enriched with reparative, brightening and exfoliating active ingredients, derived from dermatological practices and formulated in optimal concentrations, proven to penetrate optimally into skin. Form a barrier against damaging UVA/UVB rays, responsible for the acceleration of natural ageing. These act on the surface of the skin, to provide protection from free radical attacks, in order to complement the action of antioxidants.